A staff Appraisal System gives a 360 degree appraisal and is an objective method of evaluating the efficiency of staff, management and supervisors. It uses input from all levels of staff to get a clear appraisal and is a distinct and formal work performance evaluation system. Intoweb's Appraisal Management Software allows for effective planning of appraisals, structuring and record keeping of the meetings and an overall view of the employees growth as well as helping to identify employees work-related weaknesses which can be turned around in to strengths and increases the value of the personnel to that company. This system can be integrated into all the other Intoweb modules. 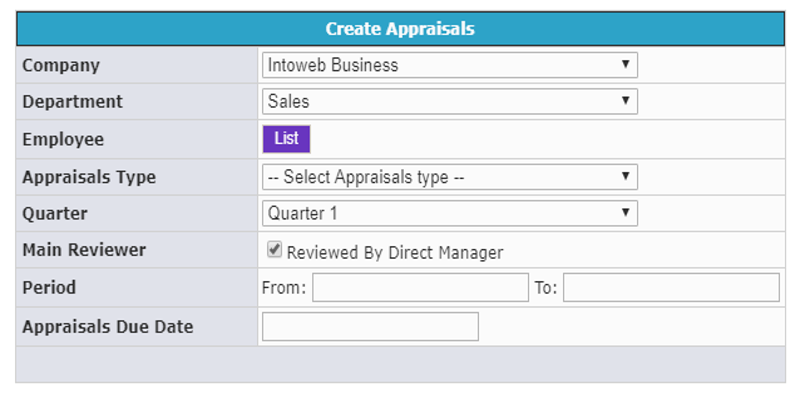 Benefits of using Intoweb's Appraisal Software? 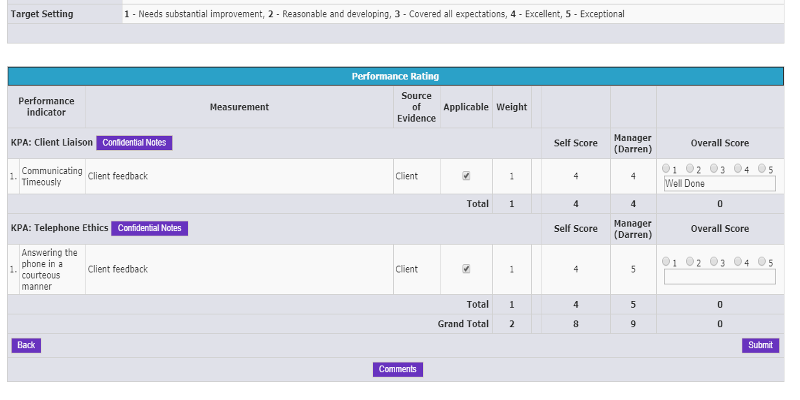 The Intoweb Staff Appraisal System can be as a standalone version or as part of the bigger HR package. The Appraisal Management Software runs online. Using your unique login and password allows you access any information from anywhere in the world at any given time, as long as you have Internet access. This allows employees to also access the information in their own time if they want to. Needing a specific appraisal? The Appraisal Management Software is fully customizable to suit the needs of your business. The Appraisal Management Software can be fully integrated to any of the other Intoweb Systems.